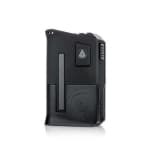 Sorry, Limitless Arms Race 200W TC Box Mod has been discontinued. 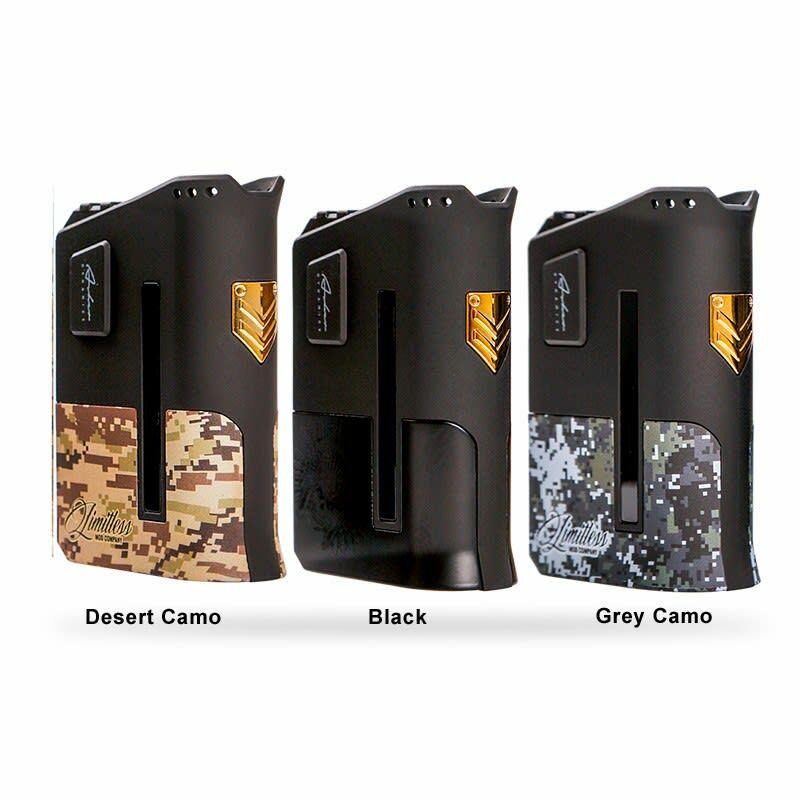 The Limitless Arms Race is a 200 watt box mod powered by dual 18650 batteries, borrowing design and style from the AR-15 rifle. The device features an aggressive angular chassis, bright 0.91" OLED screen, and 24K gold accents. A proprietary chipset supports a wattage range of 5-200 and resistance range of 3.0 - 0.1ohm. Supports atomizers up to 24mm in width. 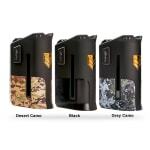 The Limitless Arms Race is a powerful 200 watt box mod, borrowing design and style from the AR-15 rifle. A Picatinny rail surrounds the 510 connection allowing for atomizers up to 24mm in width. 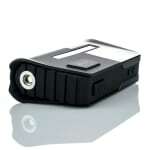 The dual 18650 bay is secured with a detachable magazine style cover. The device features an aggressive angular chassis, bright 0.91" OLED screen, and 24K gold accents. 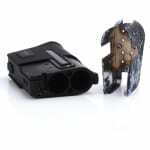 A proprietary chipset supports a wattage range of 5-200 and resistance range of 3.0 - 0.1ohm. Provides full temp control for Ti/Ni/SS as well as a new auto sense and adjust joule mode which automatically sets the optimal temperature based on the coil used.